EVGA has launched a new range of SFX power supplies. 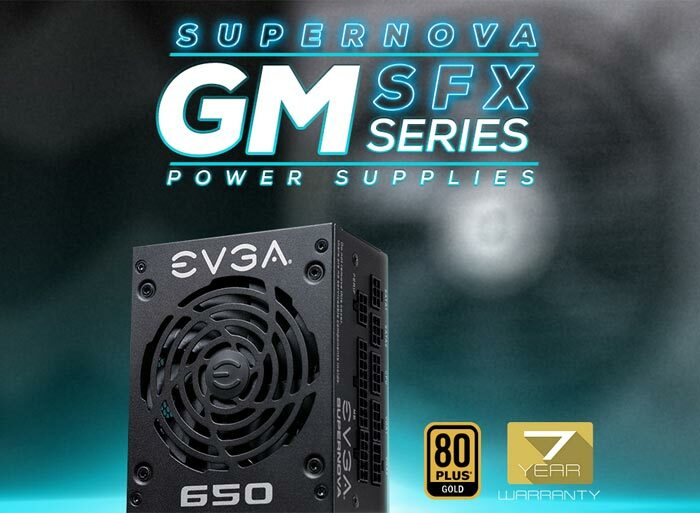 The SuperNOVA GM SFX power supplies are available now in 450W, 550W, and 650W ratings, and all models offer 80 Plus Gold efficiency certification. In an email to HEXUS, EVGA crowed about the new pint-sized fully modular PSUs using all-Japanese capacitors and coming with an 'award winning' 7+2 year warranty scheme. Fully modular design. Use only the cables you require, meaning a cleaner PC build with better airflow characteristics. 80 Plus Gold rated, so your PSU doesn't waste power and generate excess heat. Under typical load, this power supply is 90% efficient or higher. Tight voltage regulation (<2 per cent) for stable power output, delivering up to 54.1A on a single rail. Minimal signal noise DC to DC converter. 92mm durable double ball bearing fan. EVGA says its fan choice has a excellent reliability, and thermal and acoustic profile. OCP, OVP, OTP, OPP, SCP, and UVP protections. Comes with an SFX to ATX bracket to fit standard ATX chassis. 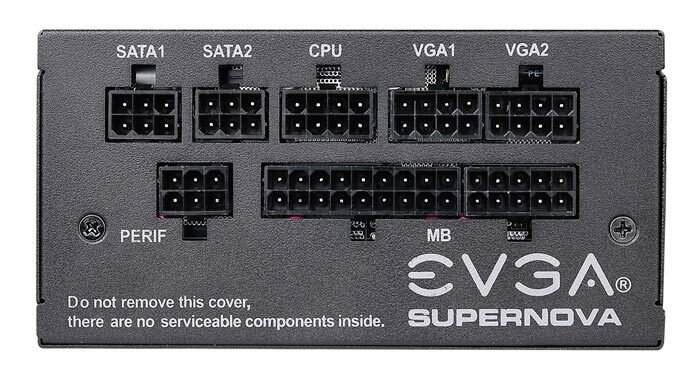 In addition to the above, EVGA was keen to point out that this power supply range is its first to feature 'Auto-Eco Mode'. Thanks to this intelligent design the PSU can step itself down to an economy mode (normally turned on by a little physical switch near the PSU power switch). 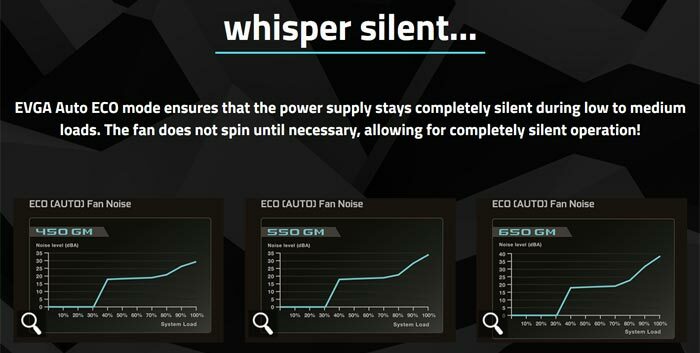 Thus in an idle or low power situation (<30 per cent load) the fan will not be required and your system will run more quietly. In the picture below EVGA sits a new SuperNOVA GM SFX power supply next to its 'compact' 650 G+ PSU for comparison. You can head on over to the official product page to check the tech specs for each PSU. 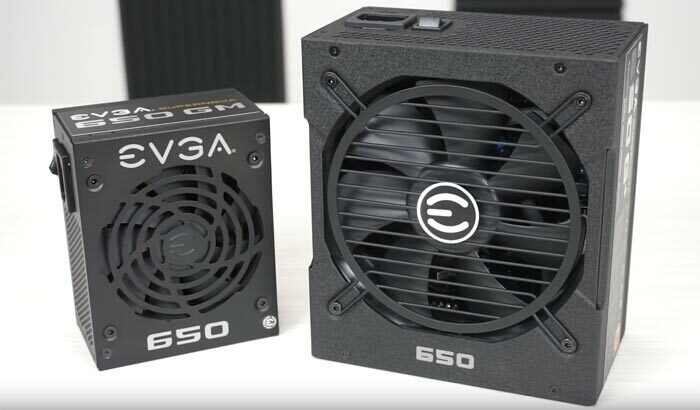 As you move down the wattage levels, the 650W model supports 2x VGA and 2x SATA modular cables as well as the essential CPU and motherboard connectors. Moving down to 550W you get one less SATA connector, then moving down to 450W you get one less VGA connector. As mentioned in the intro these new SFX PSUs come with a 7+2 warranty which means you get a 7 year base warranty plus an additional two years for a limited time due to some kind of promotion. EVGA is selling these PSUs now, direct, for $109.99 for the 450W model, $119.99 for the 550W version, and $129.99 for the 650W model.